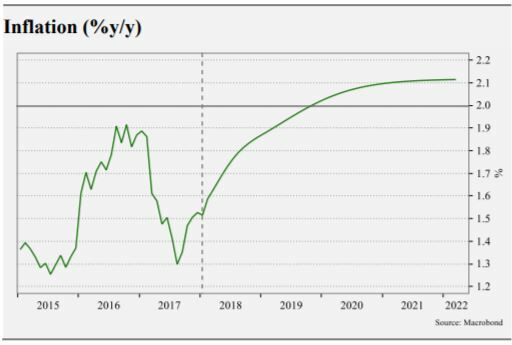 Will Jay Powell Murder The Expansion In 2020? Recently I have credited Fed chief Jay Powell for having moved closer to a more rule-based monetary policy and I have expressed the hope that we could be entering a new regime – a Powell Standard. This is probably somewhat overly optimistic, but it mostly reflects the fact that inflation expectations (and our forecasts for US inflation) are becoming re-anchored close to 2% in the medium-term and that interest rates have moved more materially above the Zero Lower Bound (ZLB). In fact, a couple of months ago I started to fear that inflation would increase too much and more permanently overshoot the Fed’s 2% inflation. However, since the latest FOMC meeting, I have become more worried that the Fed might tighten monetary policy too aggressively even before we get close to 2% (core) inflation. Rüdiger ‘Rudi’ Dornbusch famously said that economic expansions do not die in bed from old-age but are murdered by the Fed. I strongly believe he was right as basically all US recessions since the Second World War has been preceded by an inversion of the yield curve as the Fed has moved to push short-term rates above long-term yields. Hence, I am presently more worried about the Fed causing a recession – likely in 2020-21 – than by a sudden spike in inflation. Why am I not worried about an inflationary spike? Because monetary variables tell me so. 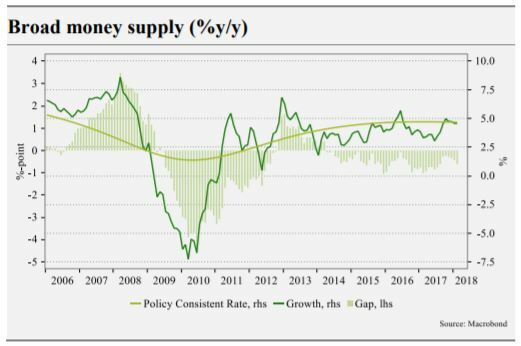 The US money base is contracting and broad money growth is not very strong. Furthermore, even though nominal GDP growth have accelerated there are no signs that inflation is going to significantly overshoot the 2% target. Market inflation expectations are telling us the same story. Our Monetary Indicator (which is based on broad money and NGDP growth, the dollar and short-term rates) is presently pointing to 2.1% inflation in 2-3 years. That is hardly alarming. Furthermore, our work on (interest rate) policy rules shows that if the Fed follow the “median” of the rules it should hike rates by 100bp over the next 24 months and that is also pretty much what the markets expect (See more here). Is The U.S. Entering A Recession?